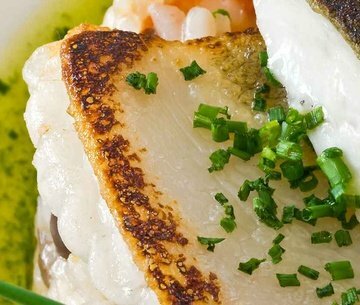 In our hotel restaurant, with signature cuisine. 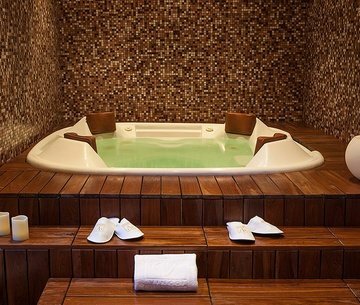 Health and well-being, tailor made just for you. In exclusive suites with living room and fire place. 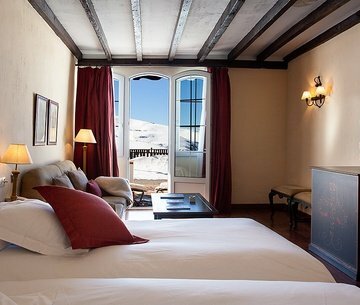 The highest and most exclusive mountain hotel in Europe is called Vincci Selección Rumaykiyya; it is a mountain hotel in Sierra Nevada with direct access to the slopes, featuring five-star services that make this a true sanctuary for winter sports enthusiasts. Come and spend your holiday at a hotel steeped in tradition, offering all the good things in life in the middle of nature. 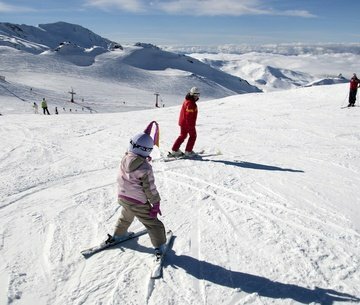 Come and experience an adventure at a hotel in Sierra Nevada Monachil — discover the true essence of a family skiing holiday, or visit us as a couple, or with your group of friends. Book here at the lowest available price, on the official web page for Vincci Selección Rumaykiyya. 10% discount for stays of 4 or more nights. Come and enjoy the snow at the Hotel Vincci Selección Rumaykiyya!